It’s a common newbie mistake thinking that the best cake pan is the nonstick variety. The cheesecake pan, also called a springform pan, is usually a nonstick cake pan with a removable bottom and sides which are clamped. The springform cake pan has a clamp to keep the sides and the removable bottom from separating. While this is the ideal pan for cheesecakes and other chilled cakes which need to be chilled before being removed from its pan, this variant actually isn’t the best cake pan for cake batters, especially those that are more liquid. Not only that, it’s expensive and the nonstick coating isn’t even reliable. You can accidentally scratch it, leaving scratches where rust can creep in and ruin an otherwise fine cake pan. It's ok to use cheap baking pans when it performs just as well as its expensive rival. The good news? You really don’t need to spend that much on cake pans. In fact, it’s almost a quarter of the price of the nonstick, and it’s the cake pan that most professional bakers use anyway. 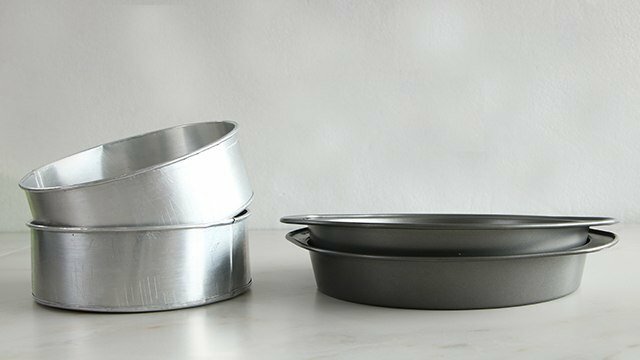 We say, why not mimic these pro bakers’ practices and the next time you’re in the market for a cake pan, get this one: the aluminum cake pan. 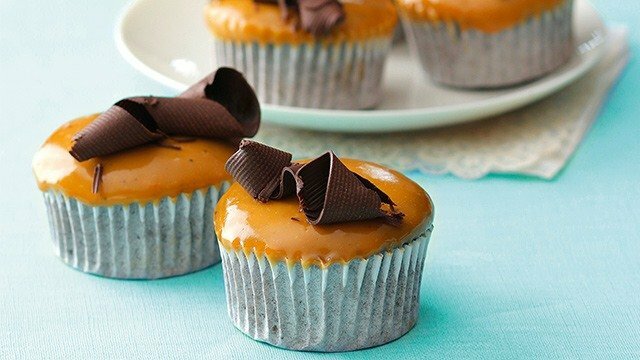 Learn the secrets to flawless baking! 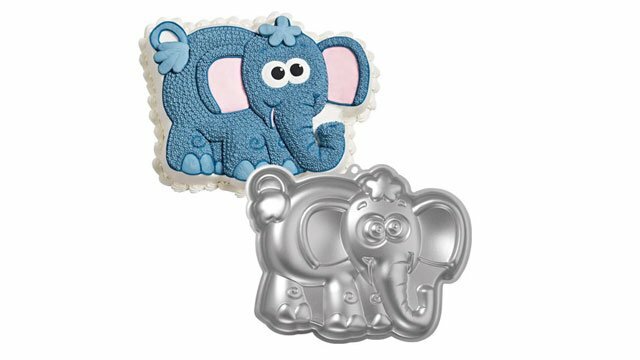 Which of these cake pans do you have in your kitchen? The price is the main reason to get aluminum pans. What you can spend on a nonstick pan can be enough to get you three aluminum pans of the same size. 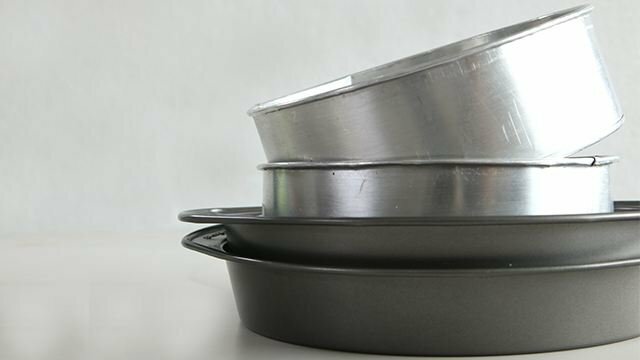 P35 Cake Pan vs. P600 Cake Pan: Does It Make a Difference? 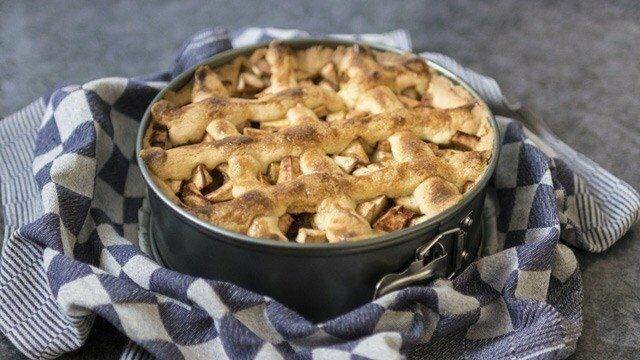 Are expensive baking pans worth the splurge? 2 It’s durable where necessary. 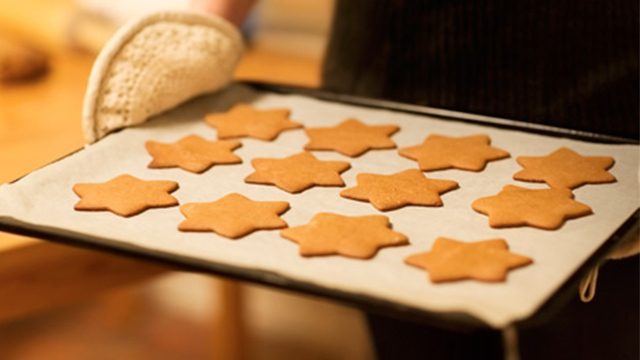 While it’s not harder than the material used to make nonstick pans, aluminum is durable enough to withstand even the rigors of a professional bakery. While a hard drop can dent one of these cake pans, you can just as easily reform it back to its original shape. 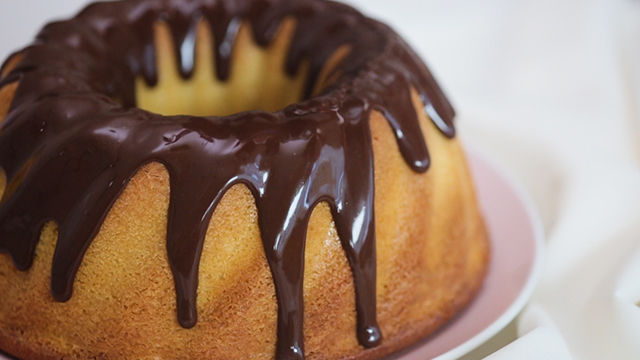 Think you can’t get your cake out of a pan? All you need is to lightly grease and then lay a sheet of parchment paper on the bottom of the cake pan and no cake will get stuck. 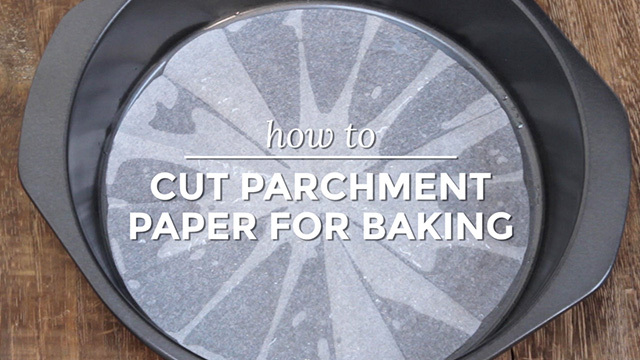 Unsure how to measure and cut parchment paper? 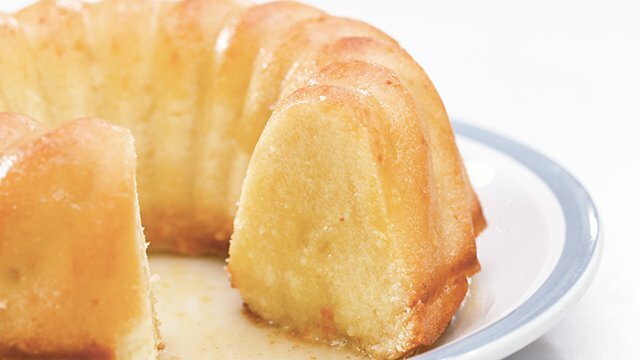 The golden brown crust of this cake is the perfect hue for perfectly baked cakes. 3 It creates a beautiful golden brown crust. Finally, the best reason to get an aluminum pan is it creates the most even, most gorgeously golden brown crust on your cake. The dark coating of nonstick pans produces an overly browned crust compared to that of the light, silver color of the aluminum. 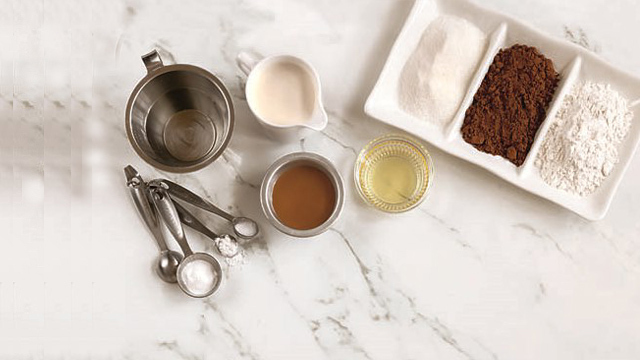 Your bakeware materials and surfaces affect your baking more than you think-not every pan is created equal. If these three reasons can’t convince you to invest in aluminum pans, that’s okay as long as you’re happy and successful with the results of our baking projects. You'll want to dust off the mixer and bring out your spatulas for these baking pans. We found specialty shops that hold items you won't normally find in supermarkets! This holiday season, try making a festive cake. 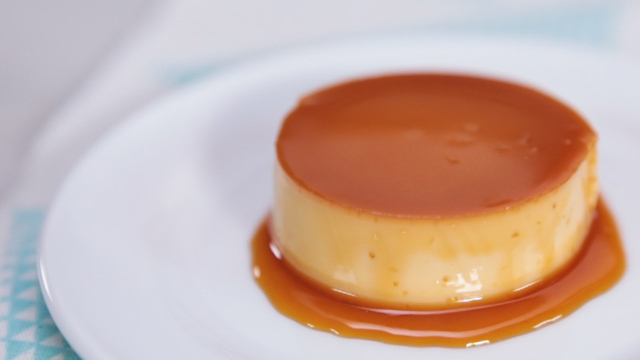 WATCH: This Is The Perfect Leche-Flan-For-One Recipe!